As healthcare markets continue to consolidate, addressing service distribution and redundancy is increasingly important. One of the more confounding challenges is how to right-size the primary care network to support access and streamline cost structure. What clinical resources are required to serve a given population? What is the right primary care panel size to facilitate an efficient network? In a risk-based model, matching patient demand to an efficient provider network is crucial to sustainability and profitability. Getting to know your population is essential to accurately plan clinical resource requirements. Data analytics enables organizations to understand their market dynamics and scale clinical services with greater precision. In a risk-based reimbursement environment, provider organizations must develop capabilities to understand service demand and cost of providing care to a population – a shift from episodic cost/benefit analysis to understanding usage patterns and cost structure across the delivery system. So . . . how do you determine the appropriate panel size to deliver primary care services to a defined population? 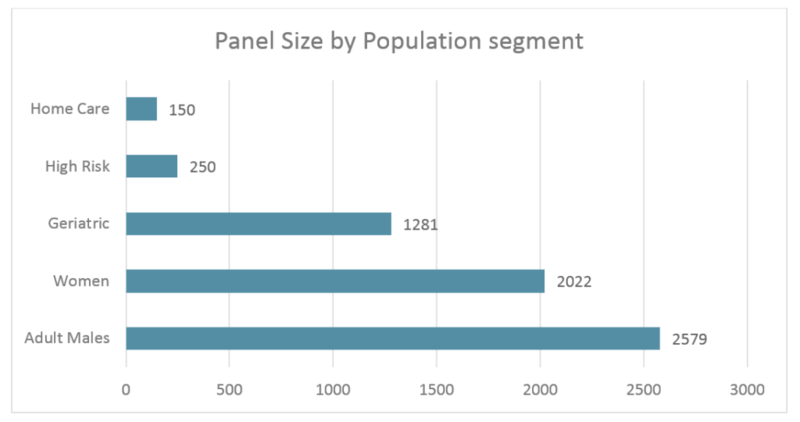 In population health planning, panel size is an output, not an input. For example, in a hypothetical population of 10,000 males, aged 26-64, each physician or Clinical Full Time Equivalent (CFTE) could manage a panel of 2,579 patients; requiring 4 CFTE. How is that? 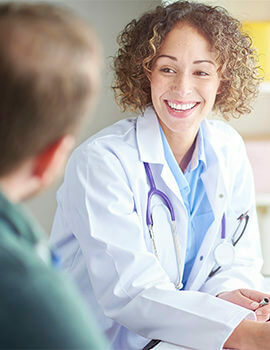 At an average visit rate of 1.6 per person per year, the resulting primary care visit demand would be 16,000 annually. With a typical, salaried full time physician in clinic seeing 20 patients per day, 41 weeks a year (after accounting for vacation and administrative time) each physician could manage 2,579. These simplified examples illustrate the wide variation in clinical staff a population of 10,000 might require. Panel size will also be impacted by a physician’s team support or case management programs which influence visit frequency, use of e-visits, and visits by non-physicians. Planning clinical resources in population health models requires knowing your population, intimately. For over 20 years, The Innova Group has used population analysis with a variety of public and private health systems to develop forward looking plans in response to evolving operational models, anticipated demographic and population shifts. These studies have resulted in long range plans that anticipate staff and facility capacity gaps, and provide a coherent foundation for sound investment plans.